The Application constructor and init method are called on the launcher thread, not on the JavaFX Application Thread. This means that an application must not construct a Scene or a Stage in either the constructor or in the init method. 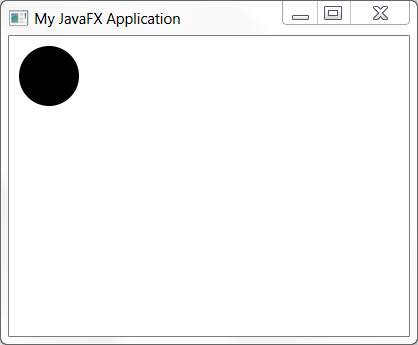 An application may construct other JavaFX objects in the init method. java.lang.IllegalStateException - if this method is called more than once. java.lang.IllegalArgumentException - if appClass is not a subclass of Application. Notifies the preloader with an application-generated notification. Application code calls this method with a PreloaderNotification that is delivered to the preloader's handleApplicationNotification() method. This is primarily useful for cases where an application wants the preloader to show progress during a long application initialization step.